Home About Us Marcia H.
Marcia H. Armstrong is a well-known Eastern North Carolina Family Law Specialist, serving as the immediate past president of the state chapter of the American Academy of Matrimonial Lawyers (AAML). The AAML is recognized as the top family law association in the country. The AAML only accept members who demonstrate the highest levels of professional skill and ethics. Marcia is a partner with her husband, L. Lamar Armstrong, Jr. at The Armstrong Law Firm, P.A., in Smithfield, North Carolina. She appears before trial courts throughout eastern North Carolina and currently concentrates her practice in the areas of equitable distribution and support issues. In addition to divorce litigation, Marcia is certified as an arbitrator by the American Academy of Matrimonial Lawyers and as a Superior Court and Family Financial Mediator by the North Carolina Dispute Resolution Commission. She has served as an arbitrator and mediator in many domestic cases. Marcia was admitted to practice in North Carolina in 1983, after receiving her bachelor’s degree in 1980 from Salem College and her J.D. degree from Wake Forest University in 1983. She has also served as an adjunct professor of law for the University of North Carolina at Chapel Hill School of Law. Marcia’s practice is limited to family law and divorce in North Carolina. Marcia is a frequent speaker and course planner at law schools and at continuing legal education programs sponsored by the North Carolina Bar Foundation. She has written and presented manuscripts on a wide range of topics including divorce laws, jurisdictional problems in interstate custody cases, intensive children’s issues, how to try a domestic case, strategies in handling child custody cases, alimony trial preparation, effect of reconciliation on separation agreements and property settlements, attorney fees provisions in agreements, tax consequences of equitable distribution, distribution factors in equitable distribution cases, classification of assets in equitable distribution cases, divisible property distribution, managing an equitable distribution, arbitration, premarital agreements, alienation of affection and criminal conversation, and ethics and professionalism. In 1989, Marcia was certified by the North Carolina State Bar as a specialist in family law. She has been a member of the American Academy of Matrimonial Lawyers since 1993 and is the immediate past president of the North Carolina Chapter. Marcia is the State Bar Councilor for Judicial District 11B. She is a past president of the Johnston County Bar Association and the Eleventh Judicial District. 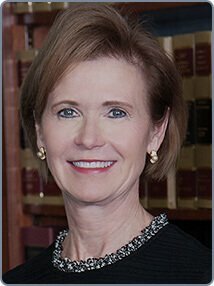 She was recognized in 2010 as a Citizen Lawyer by the North Carolina Bar Association and has served in the past on the Association’s Board of Governors and as chair of the Family Law Section. In 1997, she was awarded the Distinguished Service Award from the North Carolina Bar Association for her service to the Family Law Section. She is currently serving on the North Carolina State Bar Board of Continuing Legal Education. Marcia received the Gwyneth B. Davis Award in 1995 from the North Carolina Association of Women Attorneys. She has been listed as one of the Super Lawyers® by Charlotte Magazine since 2006, “The Best Lawyers in America” since 1994. Marcia has been named a Super Lawyer® in Family Law by Super Lawyers magazine every year since 2009. At The Armstrong Law Firm, P.A., Marcia handles every aspect of her family law cases involving complex property division and divorce in North Carolina. She guides her clients through difficult times with compassion and dedication. For information about attorney consultations, contact our firm online or by calling 919-934-1575.